Highlights: Feingold consistently voted against war, FISA, Immunity, torture and any legislation that diminished civil liberties including gun control. He has amassed a huge record that has labeled him the lobbyists’ number one enemy. I had always thought he was next for Anthrax or Wellstoning but he survived. Feingold also authored the Bipartisan Campaign Reform Act, otherwise known as campaign finance reform, which banned candidates and national parties from soliciting and spending unlimited amounts of “soft” money. Feingold is an original cosponsor of the TRADE Act – legislation that requires the government to review and renegotiate trade agreements, and establishes principles for negotiating future trade agreements. A Feingold provision to strengthen Buy American reporting requirements was signed into law in 2007. Now federal agencies are mandated to report their American-made and non-American-made purchases to Congress every year. 1. I will rely on Wisconsin citizens for most of my contributions. Federal Election Commission records indicate that Senator Feingold has raised the majority of his funds from contributors in the State of Wisconsin. As of August 25, 2010, 52 percent of Senator Feingold’s campaign contributions for his 2010 reelection campaign came from Wisconsin donors. Since first running for Senate, Senator Feingold has received 59 percent of his contributions from Wisconsin donors. 2. I will live in Middleton, Wisconsin. My children will go to school here and I will spend most of my time here in Wisconsin. Senator Feingold has lived in the same house in Middleton since being elected to the United States Senate. His daughters attended Middleton High School and University of Wisconsin schools. 3. I will accept no pay raise during my six-year term in office. 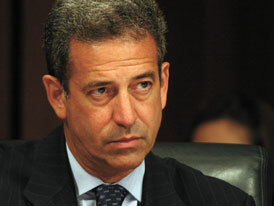 Senator Feingold has not accepted pay raises during his terms in office. When Congress votes to raise its pay, or when it receives an automatic cost of living increase, Russ sends his share back to the U.S. Treasury to help reduce the deficit. Senator Feingold has introduced legislation to stop the automatic, annual pay raises for members of Congress. He introduced a bill to permanently end the automatic pay raise system, which passed the Senate in March of 2009. This year, both houses of Congress passed, and the President signed, a bill to cancel the 2011 automatic pay raise for members of Congress. 4. I will hold a “Listening Session” in each of Wisconsin’s 72 counties each year of my six-year term in office. Senator Feingold has held 1,296 listening sessions since 1993. Overall, 61,652 Wisconsinites have attended Feingold’s town hall-style listening sessions. 5. I will hire the majority of my Senate staff from individuals who are from Wisconsin or have Wisconsin backgrounds. Senator Feingold has kept his promise to hire the majority of his Senate staff from individuals who are from Wisconsin or have Wisconsin backgrounds, and he proudly employs Wisconsinites from all corners of the state in his Senate office and on his campaign. He’s on the block again to be replaced by Global Corporatist candidates who are always well funded. Unfortunately, that’s who the sheeple vote for. Big money big talk. If you walk the walk, then why look for greener grass in the desert? I’ll never get that phenomenon. Obama has kept no promises and Congress in large part has not either. I sent him a small donation since he indeed does not take big AIPAC and other corporate booty. It was just a thank you for walking the talk for years and being a true maverick to the two party global corporation. I know that Russ knows the Opium is the deal and that Pakistan is CIA-ISI-MOSSAD safehouse for the fake war on terror. His opponent is a NAFTA-CHINA corporatist who owns BP and loves BP. This entry was posted in Constitution, Economy Economics, Elections, Human Rights Civil Liberties, Privacy, Resistance, Torture and tagged bailout, class war, maverick senator, russ feingold, TARP, war spending. Bookmark the permalink. I believe Feingold has taken AIPAC money, but I agree that he is a great senator. Right David. At election time it is critical you accept the minimum from AIPAC less you be ID’d as a anti-semitic with the owners of US policy. Considering his years in office and the dollars it was not enough for him to make the big list. Dershowitz would still call him a traitor to Israel. Freedom of Speech, integrity of media and constitutional processes. The bill was read twice and referred to the Committee on the Judiciary last Monday; it is sponsored by Senators Hatch, Leahy, Klobuchar, Whitehouse, Schumer, Kohl, Specter, Durbin, Bayh, Voinovich, and Feinstein. I always look for those who may be needed when we form the new government. Time to start taking names before the information is no longer available. Not all of us have forgotten what this country was built for…but who says we have to have a centralized government? What would stop that replacement from ultimately becoming what we are now burdened with and trying to get rid of? Even if it is Russ and Bernie? Righteo…good, no, great, point! So, the answer is…LOCAL. Let the rotting monster fall and begin anew and keep it local. Anyway, that’s what I believe, although I am not naive enough to even think there wouldn’t be problems with whatever we wind up with.